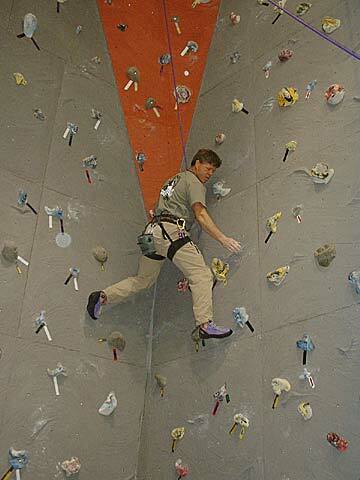 Our 1700 square foot climbing wall is designed and constructed by Vertical World out of Seattle, Washington. 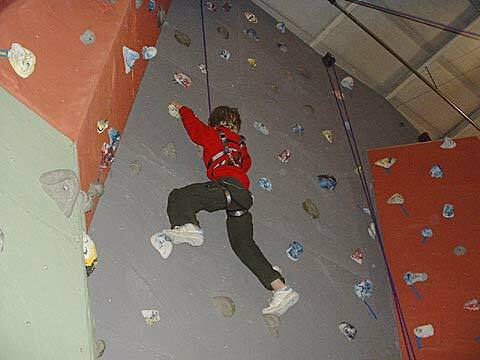 The climbing wall is open for use during all SRC hours of operation, with special times scheduled for belay checks and instruction with our climbing wall staff (see schedules). 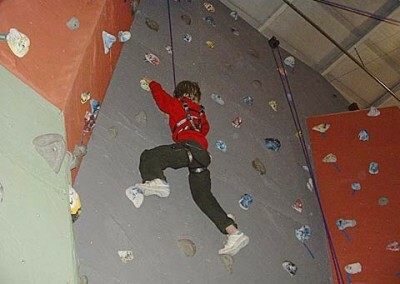 All users must sign a waiver before using the wall, and become belay certified by our climbing instructors before belaying persons using the wall. 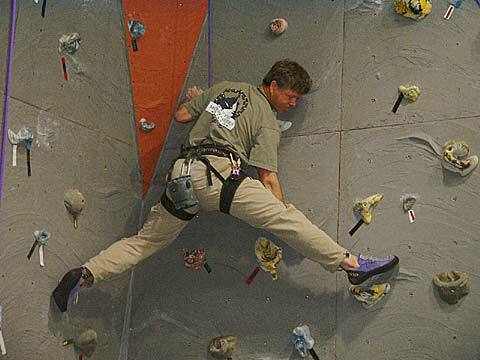 Belay certification costs $5.00 and is valid for one year at our facility. Members have free access to harnesses, shoes, chalk bags, gri gri’s and atc devices. All personal equipment must be approved by SRC staff. 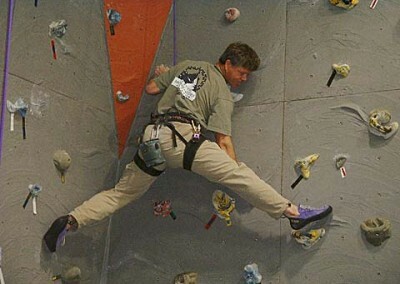 Non-members can use the wall by paying a $5.00 guest fee. Equipment rental is $5.00 as well.